Horus perfumes, egyptian perfumes, perfumes, horus, egyptian oils. 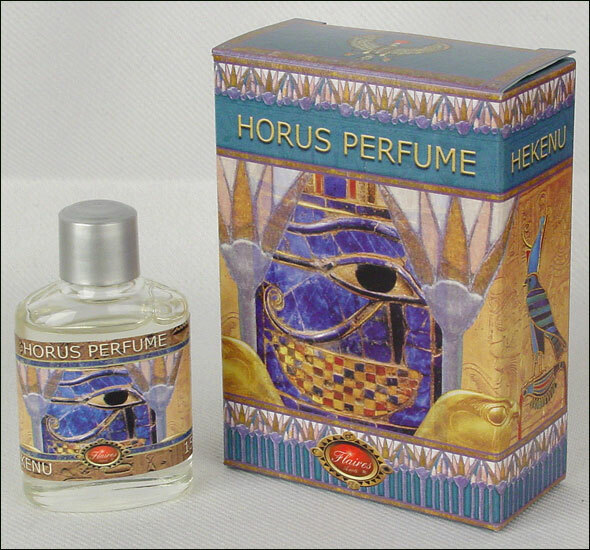 The Horus perfume is one of the sacred perfumes of Ancient Egypt. It uses the authentic Hekenu formula used by the ancient Egyptians in their ceremonies to Horus. Very high quality perfume made in Spain by Flaires using high perfumery quality ingredients. 15ml bottle (0.5oz). Elegant gift box.